Mumbai: The Western Railway department plans to schedule the special trains to run between Churchgate and Virar on the Lord Ganpati immersion Night. The Western Railways special trains times and the Special buses details are here for you. 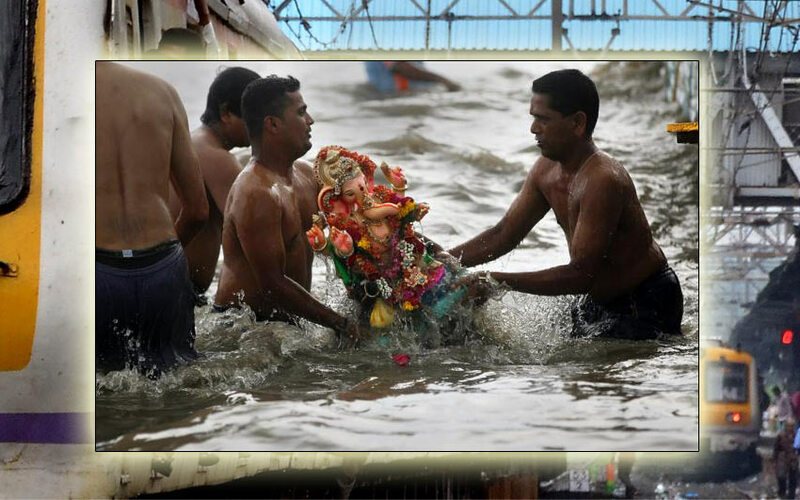 The special suburban trains for the Ganpati immersion night by the Western Railway are expected on eight number of the train will operate between the Churchgate (Mumbai) and Virar (Maharashtra). The officials plan to operate this services for the devotees those who all returning to their home from the festival of Anant Chaturthi (September 15, 2016). It is the last day festival of Ganesh Chaturthi. Half of the eight will from Virar to Churchgate and remain four will from Churchgate to Virar. As per the sources of Western Railway, all the trains will stop at all the stations. And it will also move slowly. The trains will available on at 0.15am, 0.45am, 1.40am and 2.55am. Virar The trains will available on Churchgate at 1.15am, 1.55am, 2.25am and 3.20am. Because of the Anant Chaturthi, the Brihanmumbai Electric and Transport has already announced the special buses. The Lord Ganpati devotees will use the special bus services from 10:30 am to 6:00 p.m on seven routes. It will operate by using seventeen special buses between the dates of September 9 to September 14, 2016.